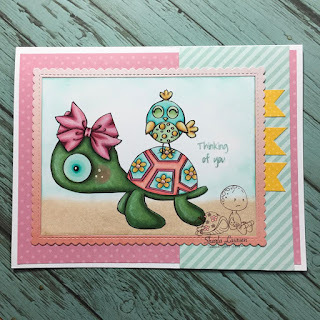 My card today features this adorable image called Cute Friends from Sasayaki Glitter Designs. 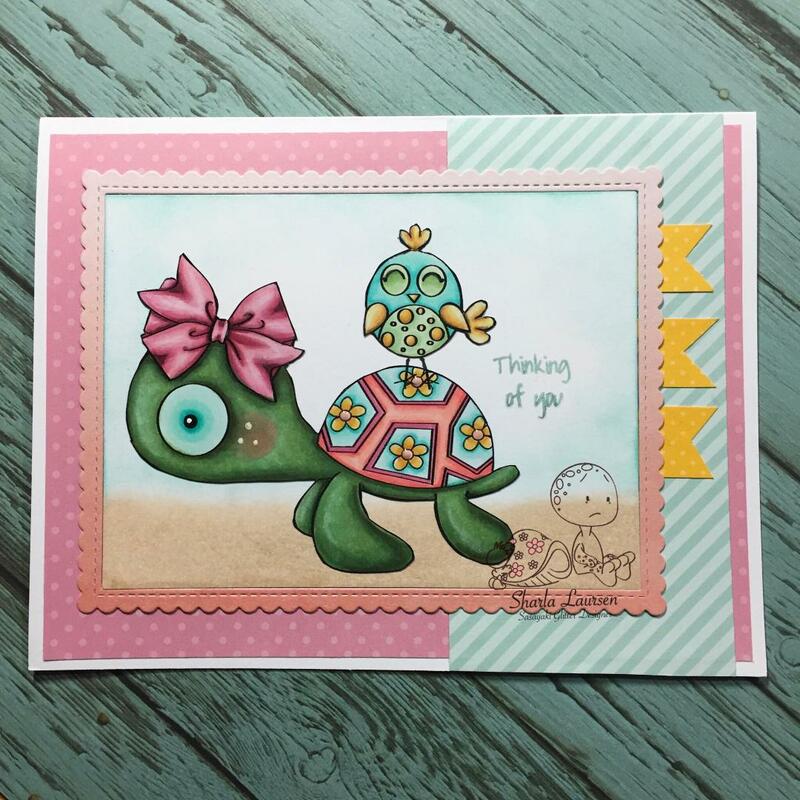 I colored this image with copics and matched the pattern papers to create this fun card. The frame is a die from My Favorite Things, the banners were hand cut. The sentiment is a stamp from my stash that I've had for years and I used a fun matching ink from Simon Says.